Reproducing the wide dynamic range in today's digital recordings requires impressive amounts of current and power, which can cause audible distortions as the music signal travels down the wire. By using advanced design and manufacturing technologies, this speaker wire minimizes distortions, maximizing the strength and quality of the signal that reaches your speakers. Superior material selection and advanced manufacturing techniques make this speaker cable a great choice for wire. Don't let low-grade speaker wire be the weak link in your system. The installation-friendly, non-gripping wire jacket is flexible yet rugged. The lower the gauge is, the thicker the wire. If you're connecting any speaker to a very powerful amp, 12-gauge wire is recommended. 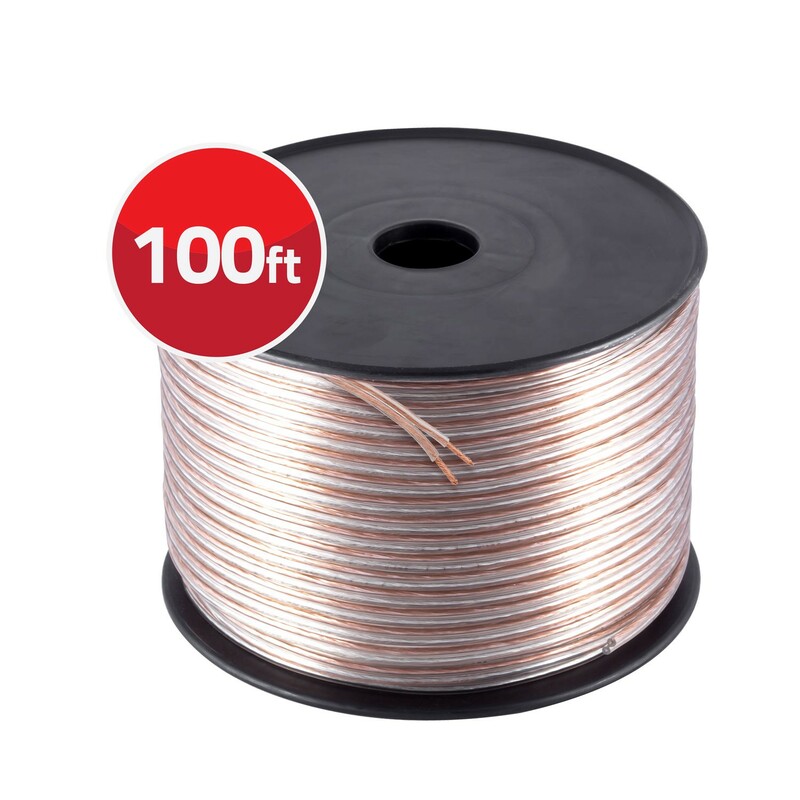 Get every ounce of juice from your amplifier to your speakers with this oxygen free copper wire. Low grip insulation for smooth installations. Note: Speaker wire jacket may be white in color.